New York will be a great place if they ever finish building it. New York has been under construction for over 100 years and there is no sign that the work will ever stop. The city will keep growing. Buildings go up, then after a time, the building will come down and be replaced with an even larger building. Better, stronger… higher. Before skyscrapers were a thing in 1885, the tallest building in Manhattan was the Trinity Church with a spire that reached all of 281 feet in the air. That year, the first scaffold law was enacted. The scaffold law made property owners and contractors liable for most “gravity-related” injuries to workers on construction sites. This law was put into place due to the large number of construction projects and legislature’s concern over unsafe work conditions on these sites. While the law was meant to make the construction site safer, it didn’t quite do the job since liability could be avoided if the accident was caused by someone else. This led to an amendment to the law in 1897 that placed the responsibility directly on the employer and it prompted courts to determine that the law creates a presumption of employer responsibility when a scaffold or ladder collapses. New York’s Scaffold Law, which protects construction worker in New York City, Long Island and throughout the state, has remained largely unchanged through the years and has time and again been reaffirmed by the courts holding owners of property and general contractors responsible for safe working conditions related to scaffolds, ladders and other tools and equipment where gravity-related injuries could occur. Opponents of the scaffold law will point out that New York State’s law is unique and that it should be abolished. This is, of course, counter-productive to the on-going safety or New York’s construction workers. The Scaffold Law was put in place to protect those that build this great city and state, and somehow, the people who are responsible for safety want people to believe that workers will be safer without legal protections in place. 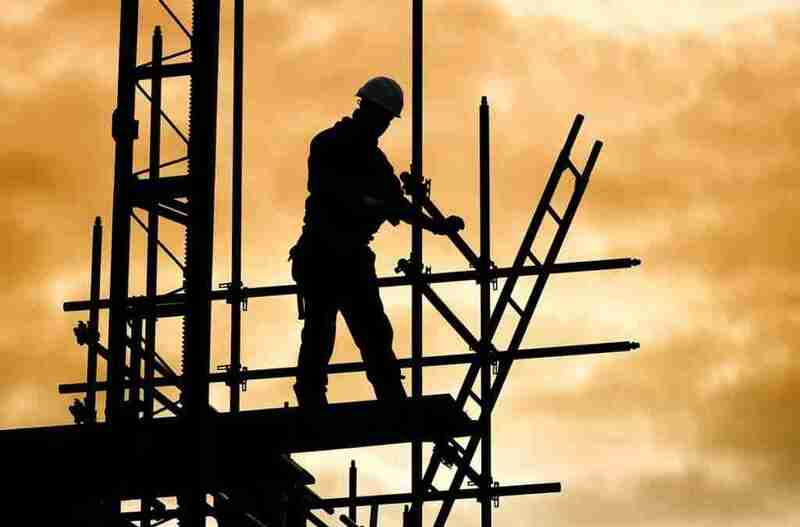 Without legal protections such as the scaffold law, given the pressures to sometimes engage in “short-cuts” or dispense with necessary safety practices, we would see more injuries being suffered by workers on construction sites. New York City is the greatest city in the world. Our buildings, from the 281-foot Trinity Church, to the 1,250-foot Empire State Building and beyond are historic and record breaking and thanks to a law that has been largely unchanged since the Trinity Church was the tallest building in New York, the men and women who take on the monumental task of building this state are that much safer.